The Old School and School House is a Grade 2 Listed Building. 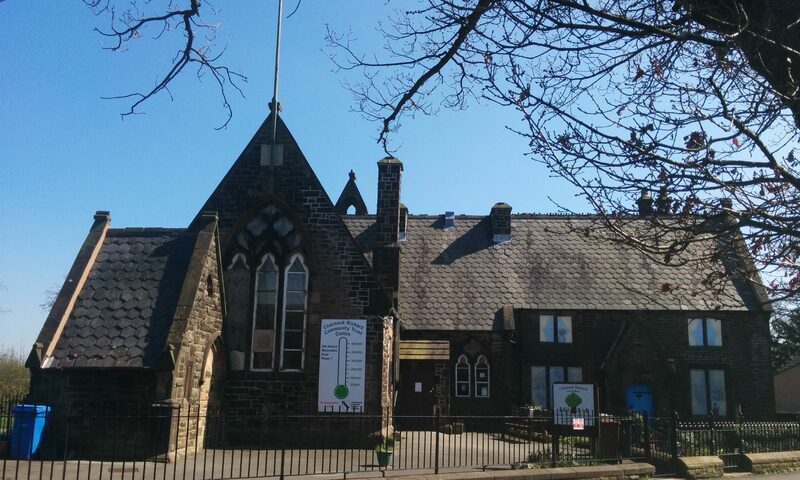 It is of architectural and historic significance as an example of a small village school built in mid-Victorian Lancashire by a local industrialist at a time of economic expansion and social development in Charnock Richard and surrounding areas. After building the Old School, James Darlington commissioned the construction of Christ Church about 200 yards along Church Lane and, after the death of his wife Frances in 1897, he financed the construction of the Frances Darlington Almshouses and Chapel which are situated next to the Old School. This trio of historic buildings, built in an “arts and crafts style”, is known as the Darlington Triangle. They collectively provide a fascinating insight into the impact of an entrepreneurial philanthropist upon the development of a village community located in the heart of the Lancashire coalfield. The Old School also has personal heritage significance for many in Charnock Richard and beyond who were educated there before its closure in 1975. Pre-Second World War pupils were educated at the Old School throughout their primary and secondary years and provide vivid reminiscences of those days. The School was also used for weekend social functions including dances and wedding receptions. As a result village residents have a passionate attachment to the Old School because of its multiple impacts on their lives individually and as a community. For former pupils and residents not educated at the Old School, it is also valued as their “village hall” since the late 1970s. It is the community venue for evening and weekend meetings, entertainment and shared learning and for daily pre-school education. This sense of belonging was summarised during recent consultations by a resident who said that when she arrived in the village knowing nobody, “the Old School was a life saver”.